I always feel a little frustrated when I miss a post like I did yesterday, but it was all for a good cause. Working hard on a beautiful bedroom shoot, I'm looking forward to sharing it with you next week. Currently in catch up mode, I thought I'd consolidate a few of my post ideas into one today. 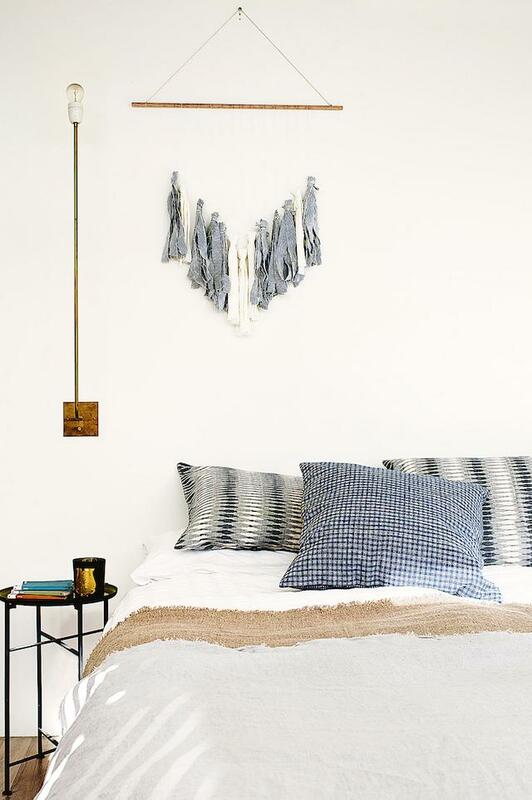 Originally noted down under the headings Soft Mood, Grey + Neutrals and Wall Hangings (which I'm obsessing over right now) it's become a Friday Finds post, with my top ten picks. Follow the links at the end to find out more. 1. Kinnasand textiles styled by Susanna Vento. I immediately recognised the incredible home of Maja from Musta Ovi, from the first instalment, which you can see here. 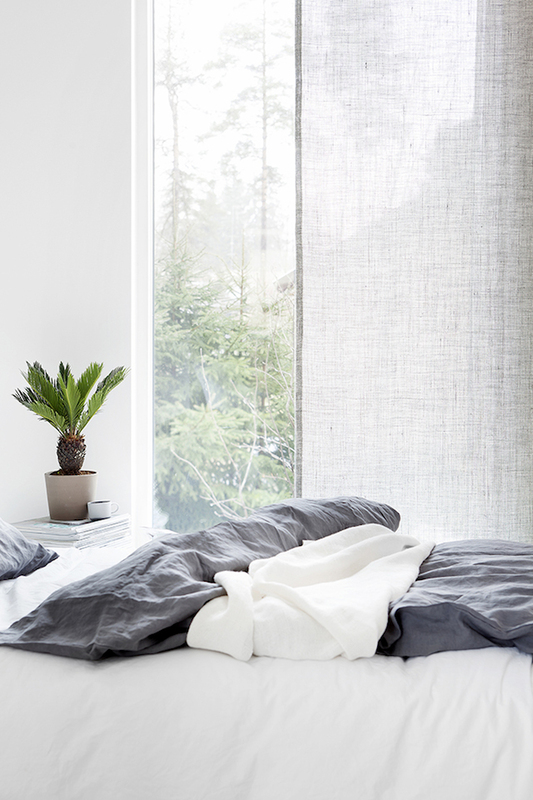 A beautiful bedroom setting with the sun streaming in, Susanna works her magic with the exquisite Kinnasand textiles, assisted by Pinja Forsman. 2. Tapestry artwork by Oslo artist Ann Cathrin. Lately I've been obsessing over all kinds of wall hangings but this stunning piece would be the ultimate. See more of her amazing work here. 3. 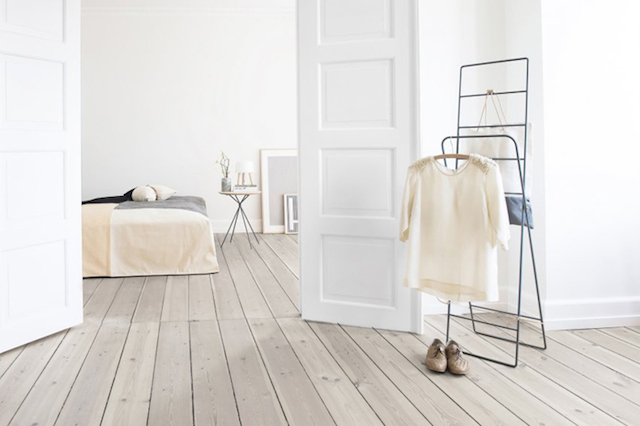 A small but stylish 70sqm apartment via Stadshem. 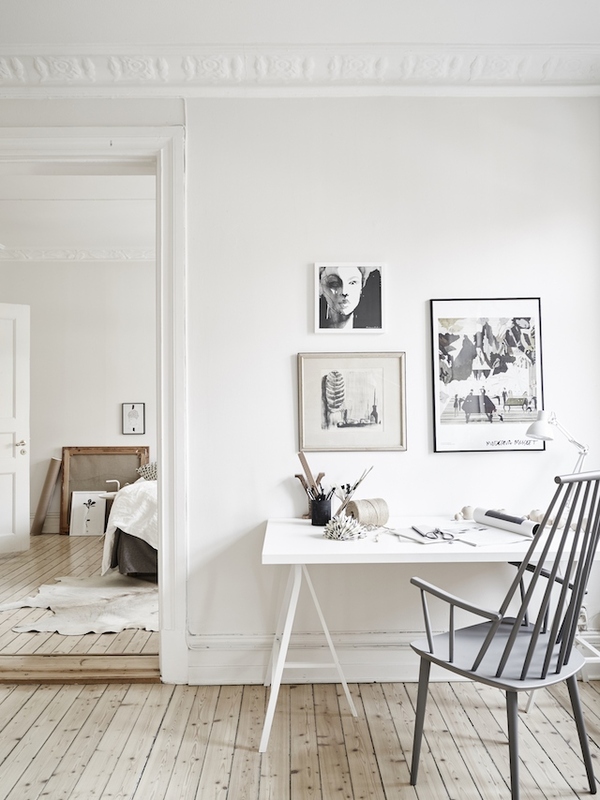 Because it wouldn't be Friday Finds without some Scandinavian real estate snooping, and I absolutely love the neutral and grey colour palette and relaxed vibe. Photo by Jonas Berg and styling by Charlotte Ryding. 4. 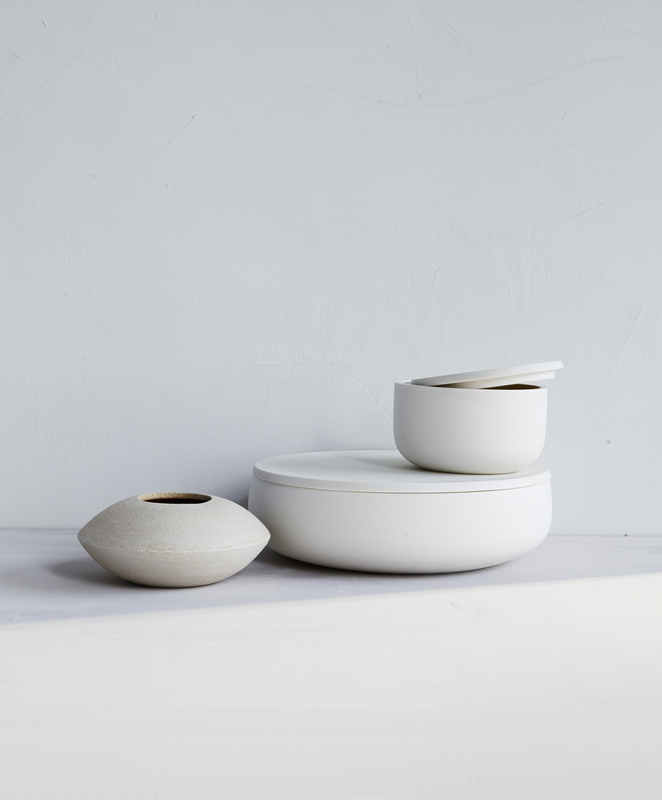 White ceramics by Hanako Nakazato found on Hungry Ghost. Hanako is a 14th generation potter whose technique and philosophy are rooted in the traditions of her hometown, Karatsu Japan. Her beautiful work is carried throughout many galleries and shops in Japan and also the US where she spends half her time. 5. The new FRISBEE series by Danish furniture company Herman Cph spotted on Stylizimo. Simply elegant I have been drooling over their entire Spring Catalogue which you can view here. 6. A beach-inspired bedroom with a palette of blue and white to mirror the waves. Of course the gorgeous wall hanging caught my eye. Photographed by Prue Ruscoe and styled by Claire Delmar via Inside Out. 7. 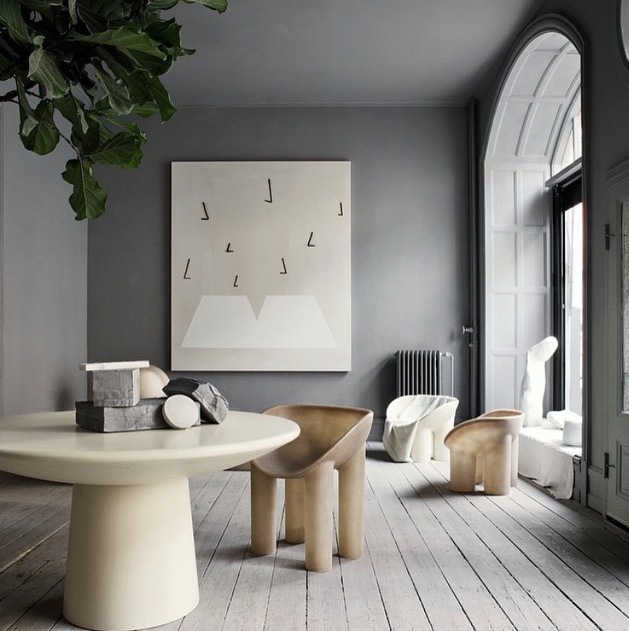 Designer Faye Toogood's new furniture pieces exhibited at the Oliver Gustav studio in Copenhagen, via Residence. The perfect setting for showcasing the beautiful, soft shapes of Roly Poly in fiber glass, Faye who originally trained in fine art and had plans to become a sculptor also showed some brand new sculptures. See more here. 8-9. 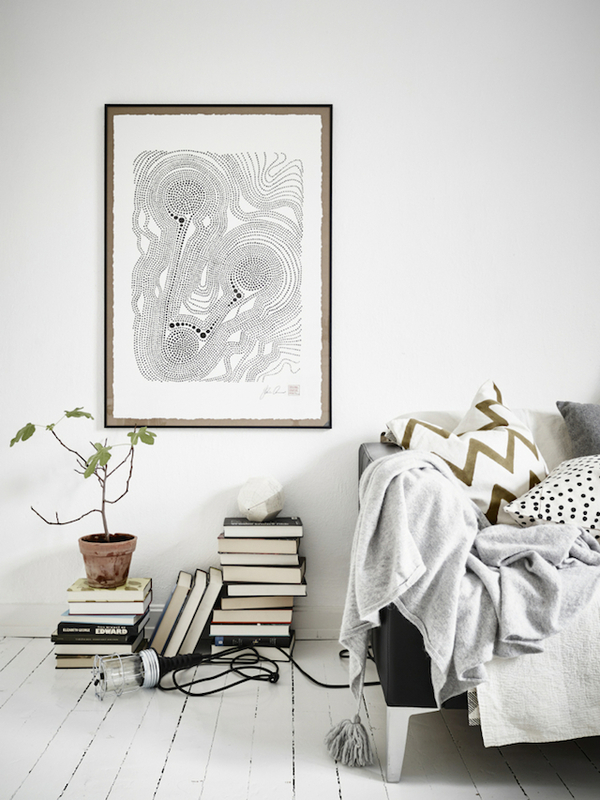 One more via Stadshem styled by the talented Charlotte Ryding via Decordots. It was hard to pick just one photo so here's a couple. 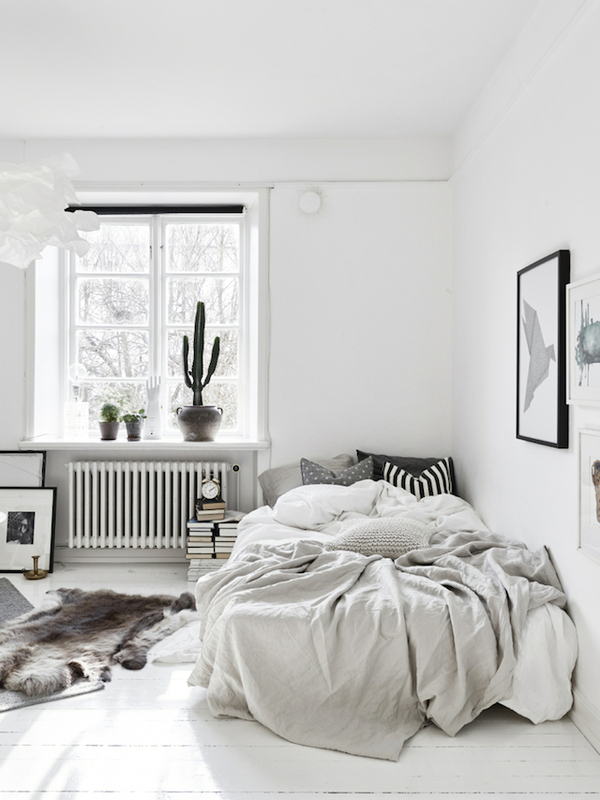 I especially love the bed with its perfectly draped linen and mix of knitted and graphic cushions. 10. Sea Art Exhibition. Another incredible wall hanging to finish off, this is part of a collaboration between Jacqueline Fink of Little Dandelion and stylist Lara Hutton. 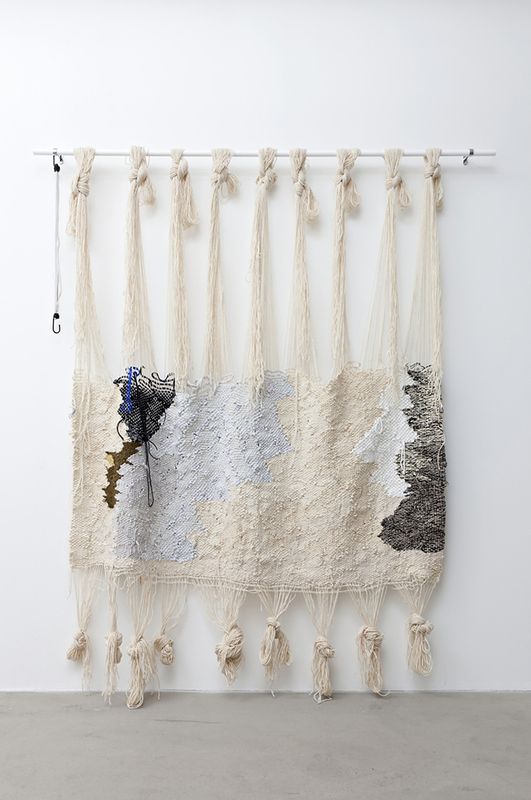 Jane is a crafter of hand knitted oversized scale textiles and installation works made from a selection of beautiful natural fibres and raw materials. 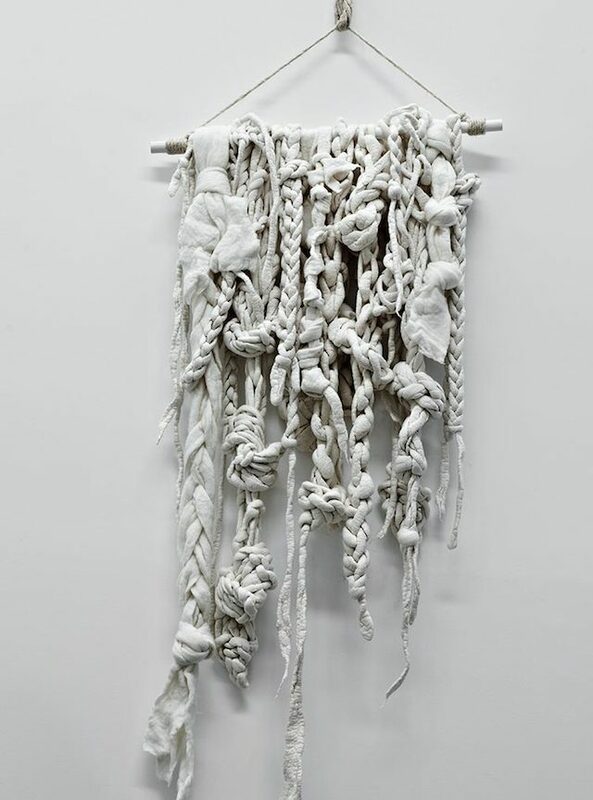 Inspired by the intricate forms and soft muted tones of natural sea treasures washed ashore and housed in a series of still life interior installations, Sea Art captures the beauty created when forms, textures and materials converge. Styling by Lara Hutton and photograph by Sharyn Cairns. Find out more here. i love it, so fresh and gorgeous!